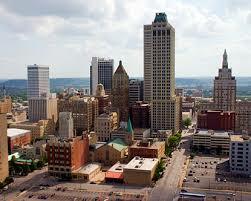 Tulsa is home to a population of around 400,000 residents and is the 47th largest city in the United States. The city covers an area of approximately 200 square miles and serves as the seat of Tulsa County. Tulsa has long held an important position in America’s oil producing industry, and has previously held the nickname of “The Oil Capital of the World”. The city is also home to a diverse range of pest control issues, some of which will now be discussed. The climate in Tulsa can perhaps be best described as ‘humid subtropical’, experiencing warm, humid summers and mild winters. Extreme weather events are common in Tulsa during the spring and summer months, including thunderstorms, large hail, high winds and tornadoes. The city is also particularly prone to flooding. These characteristics mean that Tulsa’s pest profile is quite active, with high insect activity due to warm weather and a higher likelihood that pests will seek refuge in buildings and other structures during extreme weather. Common pest problems in Tulsa can include ticks, rodents and bed bugs. Ticks rank high on the list of pests that can seriously harm our health. Ticks can carry a range of diseases including Lyme Disease and Rocky Mountain Spotted Fever. Each of these illnesses can have a severe range of effects on an individual and can present a range of health issues from fatigue and flu-like symptoms to, in the most serious cases, death or disability. Ticks can be a particular concern for those with children and pets, two groups that are the most vulnerable to a serious reaction to these diseases. Ticks are commonly found in long grass and vegetation. The best way to ensure that your property stays tick free is to arrange for a tick spraying by a certified pest control agent. Rodents such as mice and rats are also an unwelcome but common problem for Tulsa residents. These critters can sneak into your home through the tiniest of gaps, and can quickly lead to an infestation problem due to their propensity to reproduce in large numbers. Living with rodents can present some serious health problems for humans, as the pests tend to carry a range of germs and diseases and spread these through their excrement. Rodents are best kept out of the home by sealing off possible entry points such as vents with wire or cloth mesh, and ensuring that there are no gaps bigger than a quarter of an inch that mice can squeeze through (including under doors). If a rodent problem is detected, professional extermination is normally the quickest and most efficient route. There are several certified pest control service providers in the Tulsa area that can cater for the above, and other pest removal requirements. One such reputable pest control agency is Family SAFE Pest Control Services. This company offers pest control solutions and treatments for the full range of pest problems that concern the Tulsa area. They also offer both one time and scheduled treatments, depending on your personal requirements. Other notable pest control services in the area include Guardian Angel Exterminating, Midwest Pest Control and EMCO Termite & Pest Control.